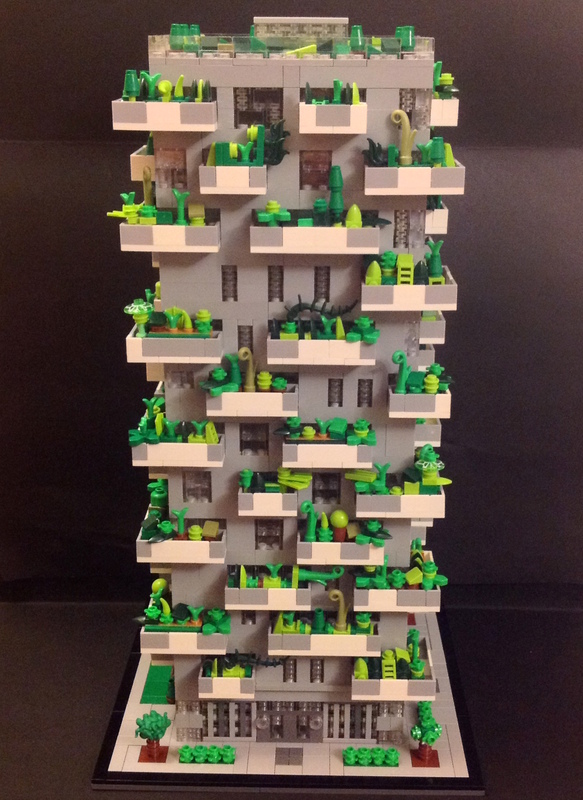 Bosco Verticale (Vertical Forest) is residential skyscraper in the Porta Nuova district of Milan. 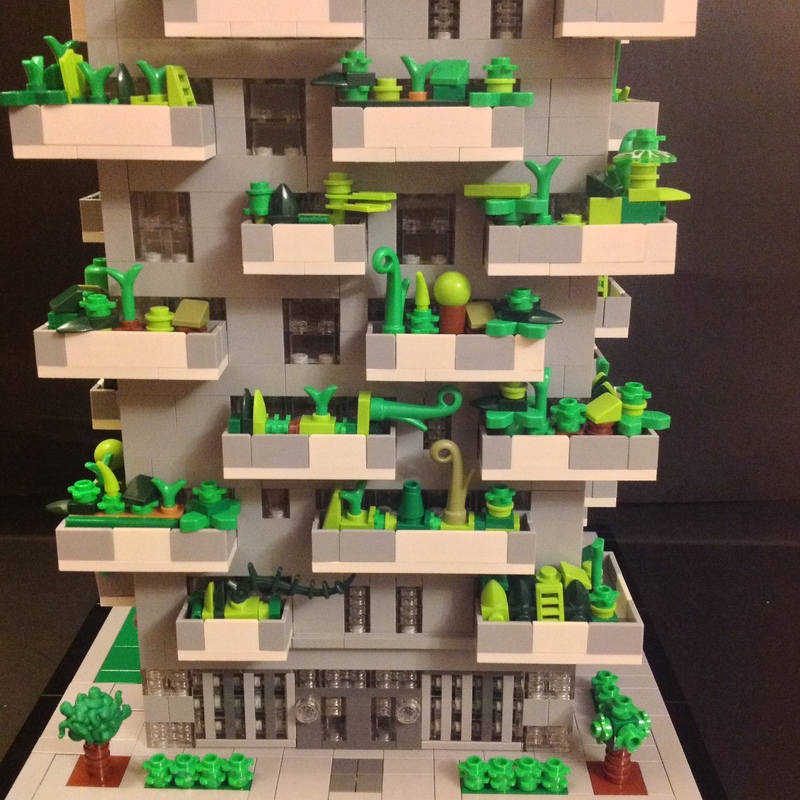 It is called Bosco Verticale because the tower houses trees and shrubs between three and six meters which help mitigate smog and produce oxygen. 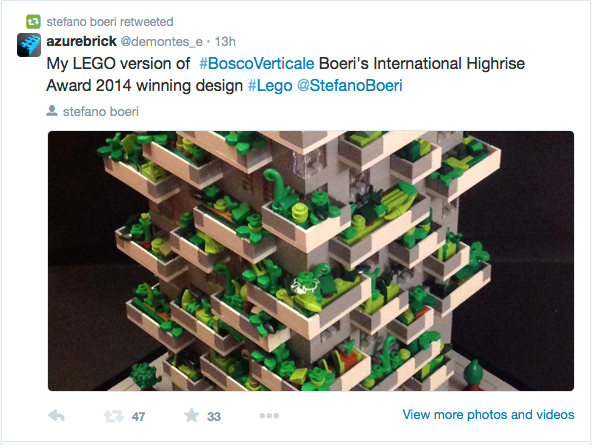 The architect was Stefano Boeri. 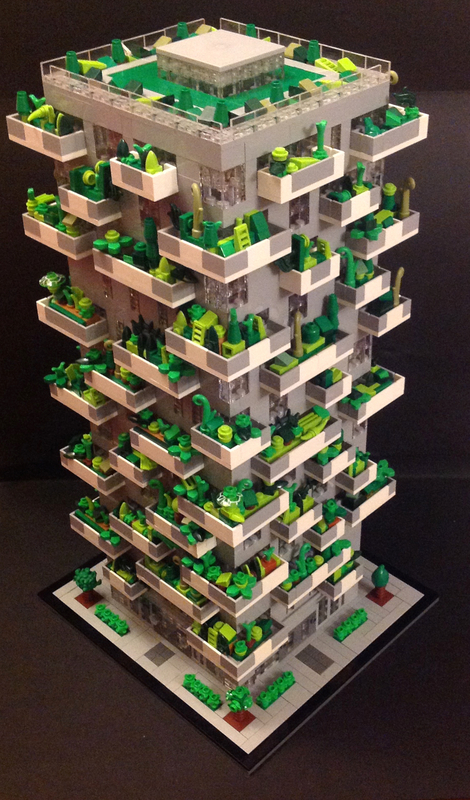 Categories: Architecture, Lego | Tags: Bosco Verticale, Lego, Skyscraper, Stefano Boeri, Vertical Forest | Permalink.